The biggest complaint many parents have about pet ownership is that their children won’t be able to help and they’ll be the ones always taking care of the pets. That’s simply not true: Many children — both younger and older — are more than willing to help with pet care. The problem? Children don’t have the ability — or the dexterity — to do everything that comes with caring for small pets like fish, gerbils, reptiles and birds. There’s still plenty kids can do, though, as long as you’re around to supervise. Note to kids: Now mom and dad have no reason to say “no” to your request for a furry (or scaled) friend! 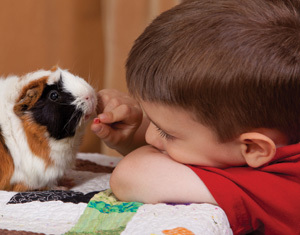 Kids are often more than willing to help dole out food and treats to their small pets. Take note, though: Many kids live by the “more is more” concept, meaning that they’ll give Guppy the Goldfish an entire bottle of fish food if not supervised. Your kidlets are quick learners, though: Have them watch you as you prepare veggies and fruits for your bird so they’ll know how much to give. Or, show them how many flakes to dish out for their pet fish and let them know what dangerous things can happen if their small pets give too much food. Soon, you won’t have to worry about feeding the small pets — your kids will gladly take over that duty! Oh, and kids can easily add water to their small friend’s dish, so make it one of their daily chores — no teaching necessary. The crappiest part (literally) of small pet ownership is cleaning up after them. However, you can teach the little ones how to scoop out the poop in their gerbil, guinea pig or bird’s cage and replace it with fresh bedding. Don’t forget to teach them about the importance of hand washing afterward! We usually associate grooming with dogs and cats, but small pets like gerbils, guinea pigs, rabbits and even birds can benefit from regular brushing — it keeps the snarls and fur matting at bay (and they look good, too!). Kids will have to be shown the proper way to comb their small furry and feathered friends, though — otherwise, they might brush too vigorously and get a not-so-friendly reaction from their animals. Small pets like to play, too! 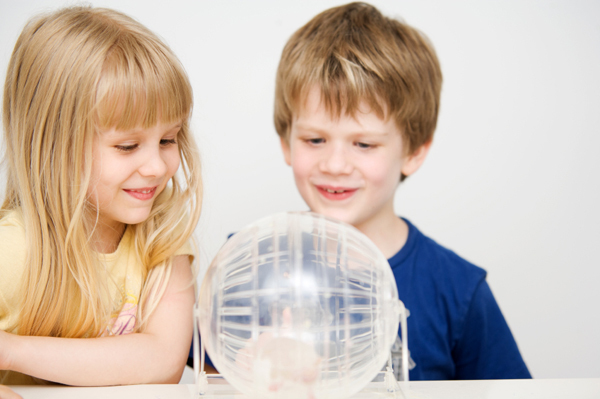 Kids can help keep their small friends entertained by giving toys or even playing with them. 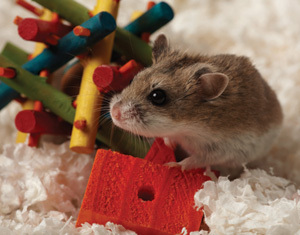 For example, gerbils and guinea pigs love to play with empty toilet paper rolls and kids can easily add those to a cage. Playing with small pets is a whole other ballgame, though. Older kids can learn to handle their pet birds while you watch — and kids can also “play” with their rabbits, guinea pigs and gerbils when they’re let out of the cage. Unfortunately, fish aren’t really the sort of pet to play with, so be sure to teach your kids to keep their fingers out of the aquarium. What are your tips for teaching kids about pet care? Share in the comments below! Are pets bad for kids?